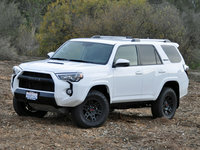 CarGurus has 61,476 nationwide RAV4 listings starting at $1,100. The 2015 Toyota RAV4 blends an attractive combination of perky drivability, high fuel economy, and pack-anything levels of cargo space in a reasonably appealing package. Although it's a good compact crossover SUV, the Toyota RAV4 nevertheless lacks the va-va-voom necessary to recommend it over many other excellent vehicles in the class. Improved crash-test ratings definitely elevate the 2015 RAV4’s stature among the members of the species, though, and loyal fans of the Toyota brand likely wouldn’t imagine choosing any other model in the class. And that’s okay. Back then, she might as well have been speaking of the newly introduced Toyota RAV4. Car buffs may debate whether Subaru’s Outback or Toyota’s RAV4 was the first small, car-based, high-riding, wagon thingamabob, but undoubtedly it was the RAV4 that awakened America to the charms of compact crossover sport/utility vehicles. 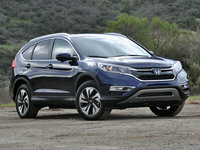 Thanks largely to the Toyota RAV4 and the Honda CR-V, which was introduced one year later, the segment soared in popularity and now almost every carmaker, including luxury marques, offers at least one version of a crossover SUV (CUV) in its stable. Today, almost 20 years later, the RAV4 isn’t America’s favorite compact CUV (that title belongs to the Honda), but the Toyota blends an attractive combination of perky drivability, high fuel economy, and pack-anything levels of cargo space in a reasonably appealing package. The RAV4 is good, but the competition is often better, whether we’re talking about the overall refinement and practicality of the Honda CR-V, the athletic performance of the Mazda CX-5, or the stylish design of the Kia Sportage. Toyota offers the RAV4 in three trim levels: LE, XLE, and Limited. My test vehicle for the week was the mid-level model, a RAV4 XLE with optional all-wheel drive, an Entune premium audio system with navigation and App Suite smartphone pairing technology, and a set of all-weather floor mats. It came out to $27,625 including the $885 destination charge. While current cute-utes lost any semblance of the adorable visages that earned them the nickname many years ago, the RAV4’s appearance is duller than other vehicles in the class. It could do with a little more flair and sculpturing to draw the eye and make it linger. Unlike RAV4s of the past, most of the interior reflects use of solid, quality materials. Dashes of design flair, like the white stitching along the dashboard and soothing cabin lighting, make the 2015 RAV4 look more expensive than the price tag indicates. Until you glance down, that is. Glossy hard plastic on the lower parts of the dashboard and door panels are clearly intended to keep costs in check. Nevertheless, the cabin’s overall look is simple and handsome. 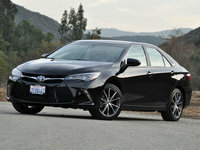 When you think of Toyota, driving enjoyment isn’t high on the list of attributes you might assign to the brand. Yet the automaker’s crossover SUV models are unexpectedly fun to drive, connected to the road in a way that frequently escapes the most popular versions of the company’s cars. 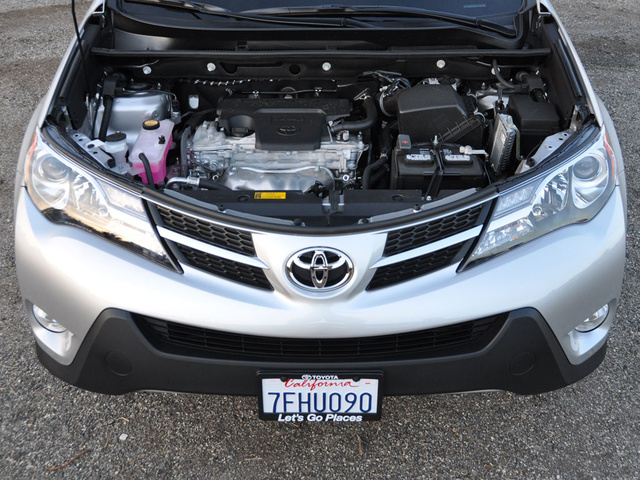 Starting under the hood, a 176-hp, 2.5-liter 4-cylinder engine is standard in every RAV4 and the only engine offered. Tasked with moving my 3,585-pound XLE AWD test vehicle, the engine proved peppy and refined, but seemed a bit underpowered when using liberal applications of throttle from a standstill. A 6-speed automatic transmission makes the most of the engine’s output, offering the driver Eco, Normal, and Sport driving modes. Choosing Sport mode sharpens powertrain response and hastens downshifts, making the RAV4 feel genuinely lively. During a week heavy in terms of highway driving, I averaged 26 mpg. That’s better than the EPA’s combined driving average of 25 mpg. Around town, the Toyota RAV4 impresses with its ability soak up bumps and imperfections while delivering a reasonable amount of road feel. The electric steering rack is reasonably responsive and accurate, and the brakes are nothing short of terrific in terms of feel, modulation, and response. While the RAV4 expresses eagerness to turn into corners, if you take it up on the suggestion, it doesn’t hesitate to remind you that certain laws of physics ultimately govern SUV handling. While my RAV4 had the optional all-wheel-drive system, it is designed primarily to assist with battling whatever Mother Nature might decide to dole out. With just 6.3 inches of ground clearance, a RAV4 is no rock hopper, especially compared to the 8.7 inches of clearance that a Subaru XV Crosstrek, Forester, or Outback can offer. Conditions were dry and sunny during my week behind the wheel, so I cannot comment on the AWD system’s effectiveness in foul-weather conditions. Toyota might position the RAV4 as a compact crossover, but it has a surprising amount of room inside. 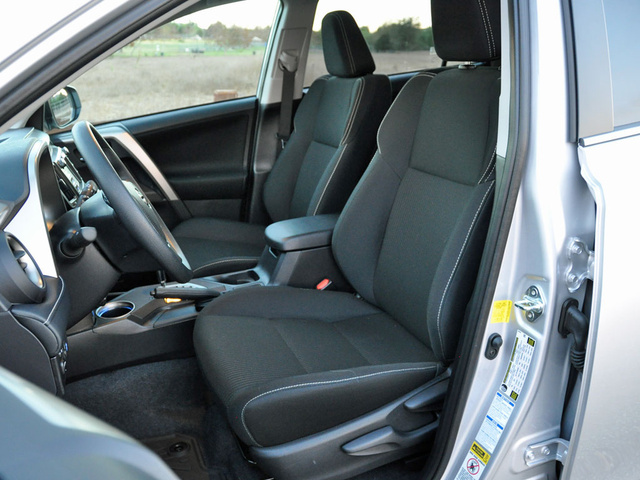 My XLE test vehicle’s cloth-upholstered front seats proved both comfortable and supportive. If you want leather, you’re out of luck, as the only upgrade available is the SofTex simulated leather installed in the RAV4 Limited. Rear-seat occupants enjoy a decent amount of space, too, although my husband complained that the seat was mounted rather low and supplied less thigh support than he would like. There is plenty of room back there for kids, though, and the seatbacks can recline for napping. Toyota should, however, install rear air vents for improved passenger comfort. You might think that choosing a compact crossover over a midsize model would result in compromised cargo volume. You’d be wrong. 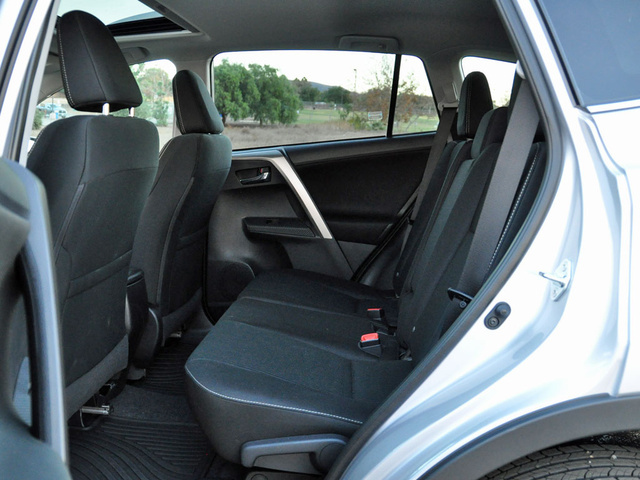 Open the RAV4's rear hatch to reveal 38.4 cubic feet of space behind the rear seats. Fold them down and you’ll nearly double it to a generous 73.4 cubic feet of room. That’s more than some self-professed midsize CUVs offer. Outfitted with the optional navigation system and Entune suite of smartphone applications, my RAV4 test vehicle delivered access to Internet radio, the Bing search engine, and Facebook Places through my paired iPhone. A variety of data services are also available, along with HD Radio and reports about traffic and weather conditions. Actually accessing these features through the RAV4’s small 6.1-inch touchscreen display, however, was fraught with frustration. Preciously tiny buttons, both real and virtual, produced much consternation in addition to occasional glitches in terms of touchscreen responsiveness. Really, performing many functions using this Entune App Suite setup was a hassle. Otherwise, the RAV4 XLE is a bit bereft of the kinds of gee-whiz-bang technologies that other carmakers might boast, but as I am a bit of a Luddite when it comes to driving, I didn’t really miss them much. No matter which version of the 2015 RAV4 you buy, you’ll get a rear-view camera to help make reversing easier. For more sophisticated active safety avoidance technology like blind-spot monitoring, rear cross-traffic alert, and lane-departure warning, you’ll have to spring for the optional Technology Package, which is available only on the top-of-the-line Limited trim level. This reflects a trend for Toyota, one requiring buyers to pay for the most expensive version of a vehicle to gain access to the most desirable safety features. When it comes to the RAV4, though, features like active cruise control and active braking are unavailable no matter how much money you have to spend. Worse, Toyota’s Safety Connect telematics technology is curiously missing altogether from the RAV4. Safety Connect alerts authorities if a vehicle is involved in a collision in which the airbags deploy, helping to speed rescuers to the vehicle’s exact location. Such technology comes standard or is optional for several of the RAV4’s competitors, but if you want this extra layer of safety on a Toyota SUV, you’ll need to buy a Highlander Limited. In the event that a RAV4 is involved in a crash, the good news is that all versions built as of December 1, 2014, receive a Top Safety Pick rating from the Insurance Institute for Highway Safety (IIHS). Previously, the RAV4’s Poor rating in the small overlap frontal-impact test prevented the SUV from earning this distinction. Toyota still has some work to do in terms of acing tests conducted by the NHTSA, which gives the 2015 RAV4 a 4-star overall crash-test rating. The main problem resides with a 3-star protection rating for the front passenger in the frontal-impact assessment. Where a RAV4 makes its strongest case for purchase is in regard to cost effectiveness. Prices start at less than $25,000, and in addition to regularly offered rebates, low-rate financing, and lease deals, the RAV4 comes with free scheduled maintenance for the first 2 years or 25,000 miles of ownership. Add a 4-star depreciation rating from ALG, which means the RAV4 holds its value over time, and this crossover SUV looks like a smart buy. Trouble is unlikely to find the RAV4, as both Consumer Reports and J.D. Power rate this vehicle highly in terms of dependability, quality, and reliability. 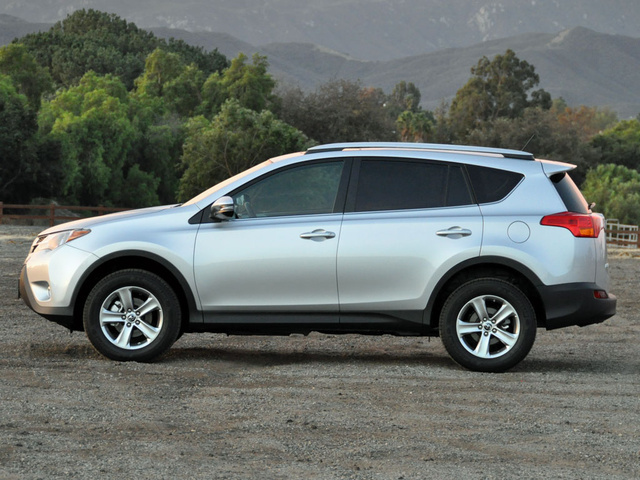 That keeps costs down, as does the RAV4’s estimated 25 mpg in combined driving. I got 26 mpg, but spent lots of time on freeways. Given these factors, it is no wonder that Consumer Reports expects the RAV4 to provide better-than-average performance in terms of keeping ownership costs to a minimum. 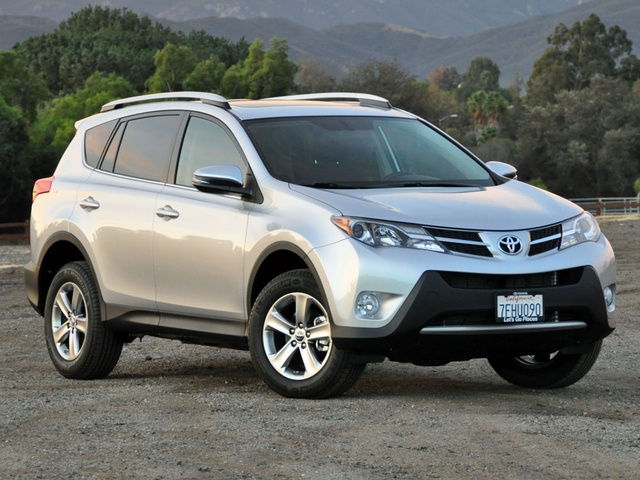 What's your take on the 2015 Toyota RAV4? Guru53FDB Not impressed. Safety features not on this vehicle as compared to other SUV's. Front seats were uncomfortable ie my test drive. Brakes went to the floor and when I stopped I felt like I could go through the windshield. Cargo space was OK but could be better. I am a Toyota person but this is the first vehicle in the Toyota line that did not persuade me to buy one. Maybe the newer models have improved since 2015; but I can't afford them. 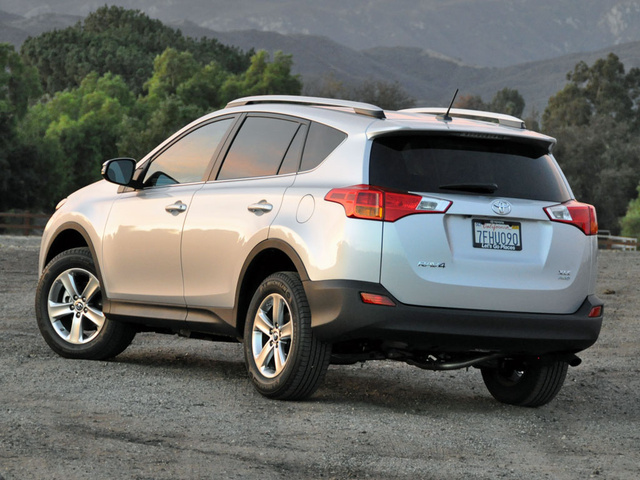 Users ranked 2015 Toyota RAV4 against other cars which they drove/owned. Each ranking was based on 9 categories. Here is the summary of top rankings. 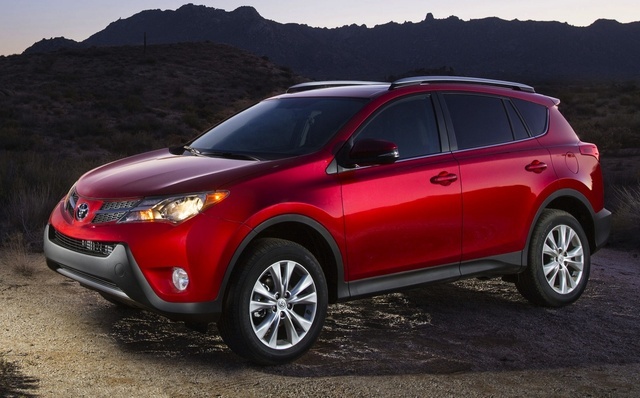 Have you driven a 2015 Toyota RAV4?